August 2018 marks the 23rd anniversary of the National Child Support Awareness Month. Established by former President William Jefferson Clinton through Proclamation 6814, to recognize the importance of child support programs at all levels of government and the professionals who operate the operate them, to ensuring children receive the necessary financial support to lead secure and healthy lives. Children thrive when family members work together to provide their physical and emotional needs. Each time a parent pays child support, they are making an effort to maintain a sense of normality for their child. Child support payments are to be devoted to all sorts of things that support a child's well-being and cover some or all of a child's basic needs. They help the cost of necessities for children like food, clothing, housing, education, and childcare. Last year families, all across Colorado, received $353,565,505.69 in child support payments that help support so many families. To bring awareness, honor, and support of all Colorado Child Support Professionals; the slogan this year is "Be Your Child's Superhero" and to wear green on August 15. 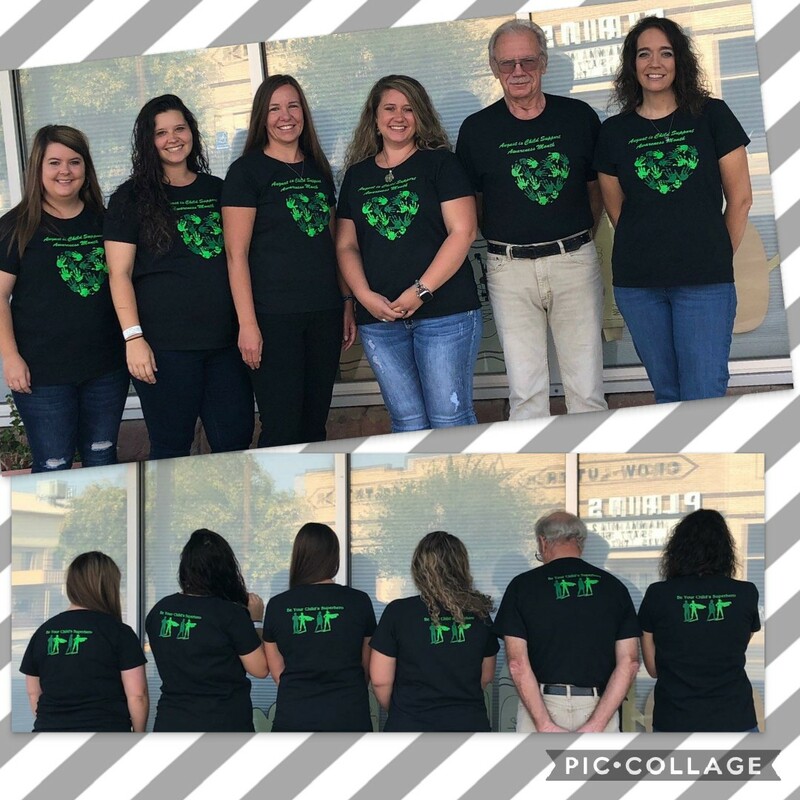 The Kiowa County Department of Social Services wore their Child Support Awareness shirts, August 15, in support of this great cause.